I'm not sure when my suitcase fetish began, perhaps it was when I first saw George Bailey's eyes light up when he found the perfect one in "It's a Wonderful Life." 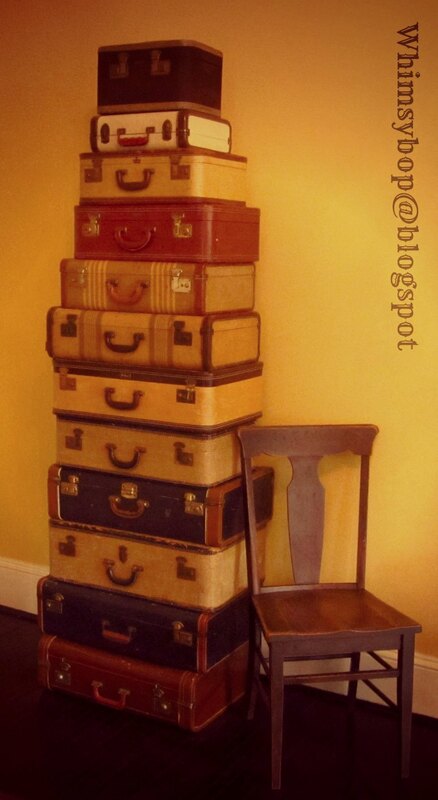 I bought my first vintage suitcase about eighteen years ago and since then my collection has grown considerably. I love them for various reasons, mostly because each one tells a story about a mysterious traveler on their way to who knows where. Sometimes when I bring one home and start cleaning it up, I'll find an unexpected surprise inside such as a vintage hankerchief, a coin or key, (I love it when that happens!). 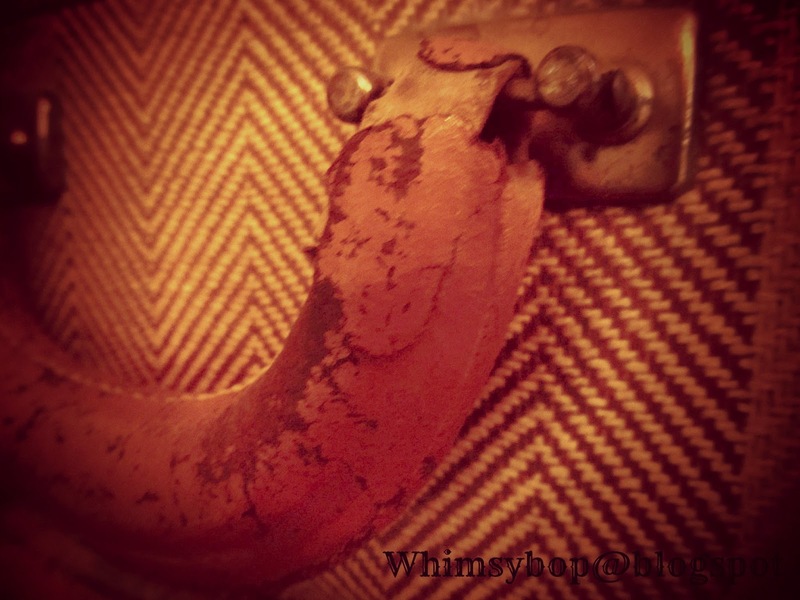 Recently I've begun to weed out my suitcase collection and keep only the ones that I truly love: the tweed ones! I have stacks of them throughout the house in different rooms and each one is full of something fun, (or weird). My kids are gonna have a hayday when they have to go through all these suitcases one day when I'm gone. They'll laugh, (and maybe cry), when they see all the stuff that I've saved through the years - the poor things! I adore these too and store photos and negatives in them. Hi...Like you, I absolutely adore vintage suitcases. I think Samsonite and Royal Traveler are among some of the best ones I currently own. I have a bubble-gum pink set which includes the vinyl overnight carry-on as well, plus a set of lipstick red and a set of olive green. I always loved old vintage cars like the 1957 Chevrolet's and this type of luggage reminds me of those cars for some reason. Thanks for this post...I love the photo! What to do with an empty box of Animal Crackers?